Welcome to Marble King's Online Gift Shop! Get ready to "knuckle down!" Click on the categories above to browse available items. On our site, you will find unique gifts for friends and family. 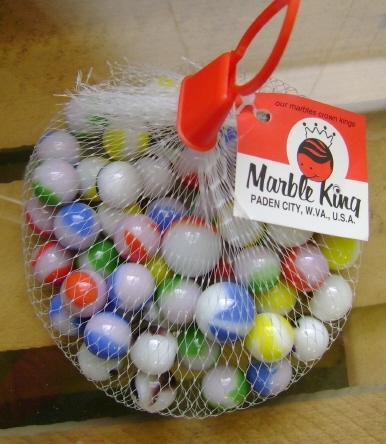 Please keep in mind that marbles are not appropriate for children under the age of 3, as they pose a choking hazard. We also have made a few of our rare collector items available to online customers. Contact us during office hours: Monday through Friday 8:30am-4:30pm EST. For international orders, please contact us. Our Marbles are MADE IN THE USA! 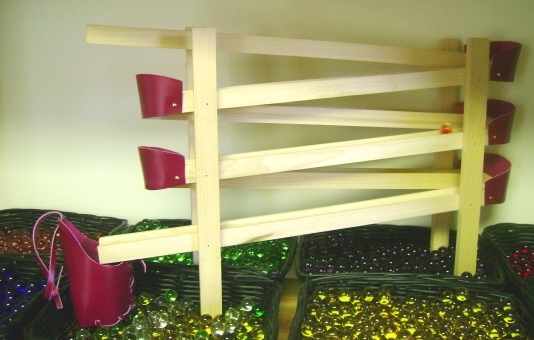 Looking to go beyond the traditional game of marbles? Checkout these cool Marble toys! Interested in Marble themed apparel? 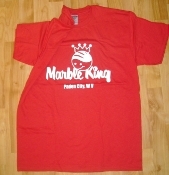 Checkout our Marble Jewelry and Marble King T-shirts. 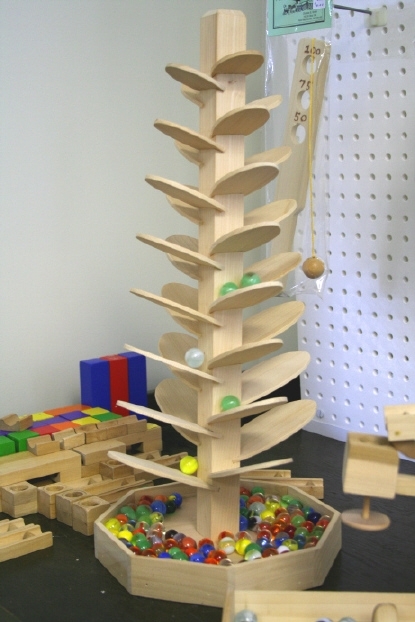 Unable to come down in person, but would still like to select your own marbles? We gottcha covered! 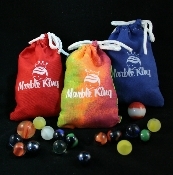 We offer a Fill Your Own Pouch product where you can decide which colored marbles will appear in your bag! 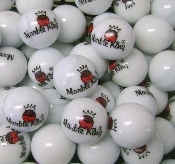 **Unfortunately, at this time, Marble King does not offer factory tours. 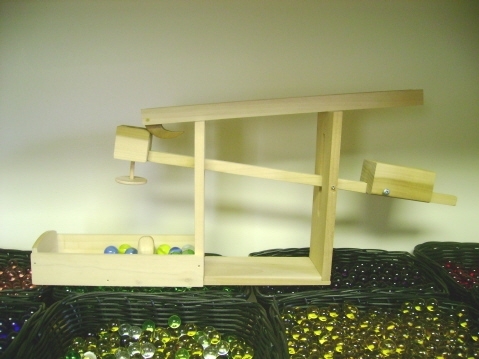 However, we do have a video showing how marbles are made on our website. For a memorable and enjoyable time, stop by our gift shop today!